Despite November releases in North America and Europe, the PS4 won't hit Japan until February 22nd, 2014. Sony is a Japanese company. That in mind, you'd generally expect its new major hardware to launch in Japan before, or at least at the same time as in North America and the rest of the world. In a pre-TGS announcement however, the company confirmed that the Japanese edition of its next console, the PlayStation 4, would not be sharing the November 15th launch of its North American counterpart, or even the console's November 29th release in Europe. Instead it was revealed that the PS4 won't be coming to Japan until February 22nd, 2014. According to Sony, the delay comes in part because the of the company's desire to ensure all of the console's western-developed titles are properly localized for the Japanese launch. 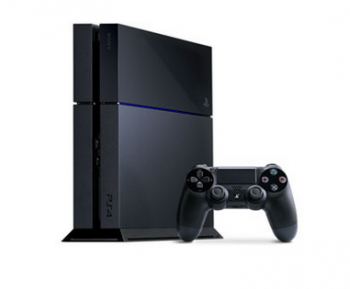 Japan-based gamers will be able to start placing pre-orders for the PS4 on October 5th. They will have access to the base PS4, which will cost about the same as the North American model, as well as several bundles, including one that packages the PS Eye and sells for 43,980 Yen ($440). To help make up for the delayed release, the initial round of Japanese PS4's will also come with a voucher code for the game Knack and will include an year long extended warranty on the console. This is interesting on several levels. For one, as many long time console gamers can attest, in the past it's often felt like Japan has gotten just about everything first. It's arguably natural, as western markets and developers have become more prominent, that this might shift, but it's still somewhat odd to see Japanese gamers having to wait for a console being made by a Japanese company. It will also be neat to see how this plays out with the Xbox One. Currently, Microsoft's planned launch regions exclude Japan. That said, were the Xbox One to launch there prior to the PS4, it might have a chance to establish a foothold that the Xbox 360 and Xbox was never really able to do.